Is there a formula to make your memory work faster before an exam or a critical meeting?! Well, apparently there is one! A single cup filled with peppermint tea is the solution you should utilize. 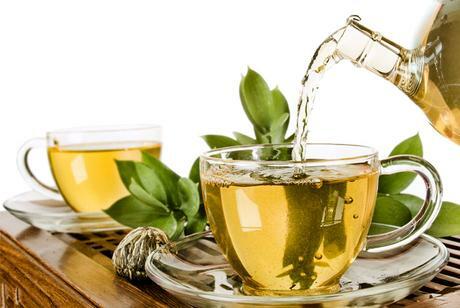 Studies suggest that a cup of this tea is enough to boost your short-term as well as long-term power to store memory. The results occur within 20 minutes of drinking this tea. Informed during the annual conference of the British Psychological Society, researchers provided that you can improve your memory with this tea made of peppermint. The tests were conducted on 180 healthy candidates. Other beverages such as chamomile tea and hot water were also included in the experiment. All the subjects went through questionnaires before drinking their beverage. Then, they got tested according to those questions. The results clearly provided that peppermint beverage was capable of improving both types of memories along with the cognitive performance of the candidates. On the other hand, candidates, who drank chamomile tea, showcased reduced memory capabilities. How does peppermint improve memory? Peppermint is a hybrid category of plants. A natural process of crossbreeding occurs between watermint and spearmint. And that results in the production of peppermint. Most types of peppermint plants have no capacity to produce their seeds,which is why shoots are planted to cultivate them in a suitable environment. After ages of cultivation, this plant is available in the wild as well. The medicinal components of peppermint include menthone, menthol, acetate, menthyl, cineole, and menthofuran. Along with that, it is also a source of pinene, pulegone, limonene, and caryophyllene. All the constituents of peppermint help the human body one way or the other. Major benefits include the reduction in nerve pain as well as muscle pain. Users also receive its antibiotic properties along with the antifungal traits. Stomach inflammation reduces, which improves digestion. It also resolves the problem of inflammation in our oral cavity. In the digestive system, peppermint decreases the production of gas. At the same time, it stimulates the generation of bile in the intestines. All these characteristics provide essential support to digestion. This improves the utilization of nutrients in the body. The cholesterol levels reduce due to the components such as limonene and menthol. Better nutrient utilization assists in sending proper nourishment to the brain as well,which ultimately improves the memory power. Along with that, peppermint decreases the headaches caused due to nervousness and tension. This result was found during a study conducted in Germany. Both adults, as well as children, showcased positive results in terms of the reduction of tension headache treatment. Drinking peppermint tea will be most beneficial for people who have a hard time remembering stuff. Older adults can leverage this tea to resolve their memory problems. As you know, there are many other health benefits of this tea, which makes it suitable for everyone. If you are struggling with digestion issues, you can drink it. And the memory power comes as a bonus for you!